Flipped your PWC/ Jet Ski and now it will not start? Chances are, there is water in your engine and the motor is Hydro-Locked causing it to not turn over. Bring your PWC/ Jet Ski in to us for the Factory Recommend Procedures on removing the water from your engine. 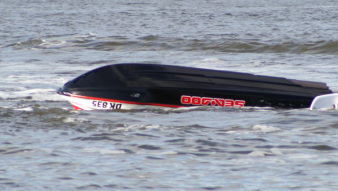 A flipped over PWC that is left upside down too long could allow unwanted water in to your engine. Removing the spark plugs and attempting to remove the water by cranking the engine with the plugs out is NOT the proper way to rid the unwanted water in your engine to rid the unwanted water in your engine and can cause damage to your internal parts such as the reed pedals. It is highly recommended that if you suspect water in your engine, to have it professionally removed to avoid damage.